De Chord Poly is ontwikkeld als streaming module voor de Mojo, maar is in principe een compacte maar krachtige PC/ Media Server. De Poly streamt via Wi-Fi of Bluetooth bestanden vanaf internet, uw NAS of de interne SD-card (via MPD) naar de Mojo. De Android of iOS app op uw telefoon functioneert in dat geval als afstandsbediening. 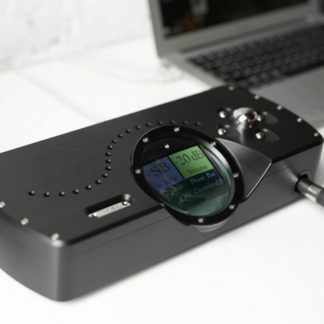 Bij portable gebruik (eigen batterij!) kan de Mojo-Poly dus gewoon in uw zak blijven zitten. 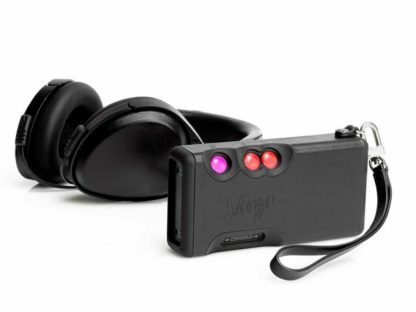 Daarnaast kan muziek op uw smartphone of tablet op de gebruikelijke manier via Bluetooth en Airplay worden afgespeeld. 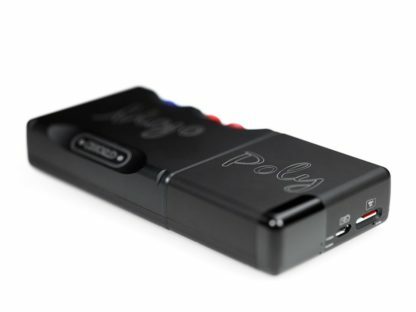 De Poly is compatible met de nieuwste generatie high-resolution audio bestanden (PCM tot 768 kHz, DSD512). Materials: Precision machined aluminium casing with black anodisation, opaque black wireless signal window, and silicone feet. 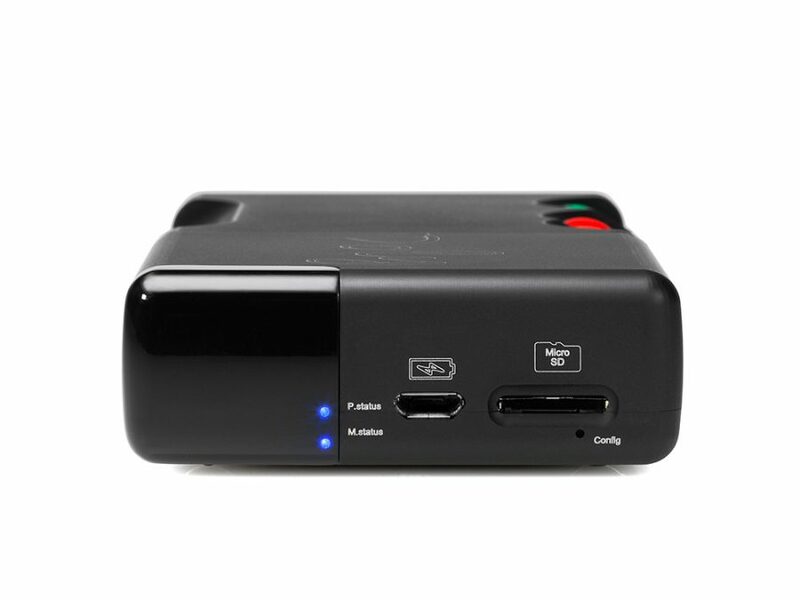 Battery: Rechargeable LiPo (Lithium Polymere) 2200mAh. Play time: In excess of nine (9) hours. Charging: Less than four (4) hours. 2amp Micro USB Input. 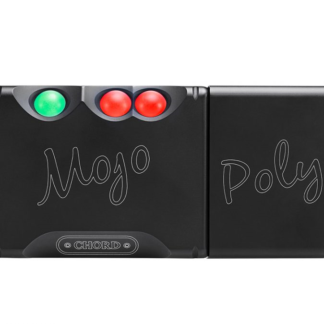 Both Mojo and Poly can be simultaneously charged via Poly’s Micro USB. Connectivity types: Bluetooth A2DP and WiFi 2.4gHz. Storage: Micro SD card – Unlimited maximum capacity. Playback support: Roon, DLNA, Airplay, and Bluetooth playback. Files supported: To be confirmed, although all major file types including: ACC, WAV, FLAC, AIFF, OGG VORBIS, ALAC, WMA, and MP3. PCM sample rates: 44.1kHz, 48kHz, 88.2kHz, 96kHz, 176.4kHz, 192kHz, 358.8kHz, 384kHz, 717.6kHz, and 768kHz. DSD via DoP sample rates: DSD64 – DSD512 (Octa-DSD). Devices supported: iPhones and iPads, Android smartphones and Tablets, Windows smartphones and tablets, Windows computers, Mac OS X computers, and DAPs (ie. Astell & Kern). WiFi device set up: Manually enter SSID of device and enter password. 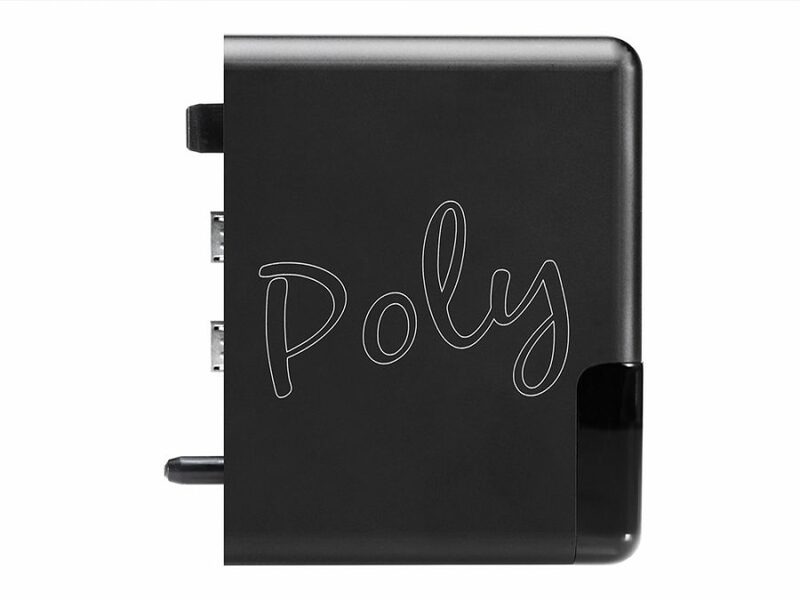 Poly will remember previously connected devices and automatically connect. Bluetooth set up: Select Poly as the output device and input code 0000. Airplay set up: Simply select Poly and instantly airplay to the device. Name of device: This is user configurable, however by default it is named ‘Poly’. This feature is enabled to allow Poly to be used in zones. 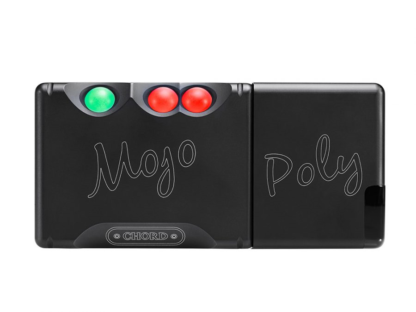 For example, an owner of two Mojo’s can label one unit that is used within a static system as ‘Home Mojo’ and a Mojo for on the go as ‘On the Go’. Dimensions: 50mm (L) x 62mm (W) x 22mm (H). 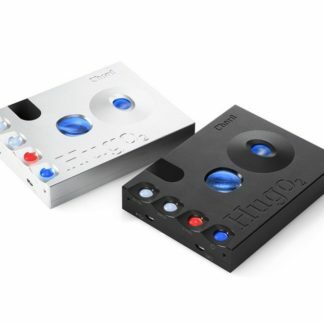 Benieuwd hoe de Chord Poly klinkt? Kom gerust langs in onze showroom in Delft.